philosophies of high quality, advanced techniques and customer service. We have been in business over 25 years. Our company excells in custom manufacturing of all types of interior stairs to fit your needs in various essences. 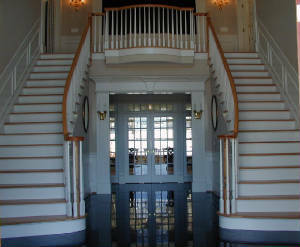 We fabricate regular box stairs, colonial stairs, circular stairs and custom railings to fit in your new home.